Need help with ordering, returns, exchanges, or just have questions about our products? We’re here for you. ► Click here to see helpful videos. Our call center is open and staffed with friendly, experienced representatives just waiting to hear from you. Every hearing aid we sell comes with either a 6 month or 1 year warranty against manufacturer defects. Any damage that is not the direct result of manufacturers' defects is not covered under the warranty. If the hearing aid stops working properly, please remove the tube completely, then put a fresh battery in. Turn the volume to 4 and cup the aid in your hand. If it whistles, the hearing aid is working fine, but there is a blockage in the tube. 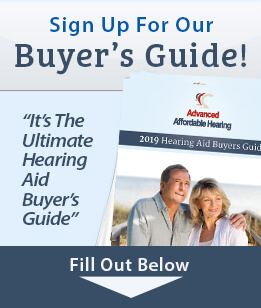 Tubes can be purchased for all of our hearing aids from this site. If the hearing aid is sent to us and only a cleaning is needed for an otherwise properly working hearing aid, there will be a charge of $24 to clean one aid and $29 for a pair including return shipping. If the aid is still not producing sound with the tubing removed, please call 1-888-570-2740 to set-up a repair service. In-warranty repairs are free; the user just covers shipping. Out of warranty repairs are available in most situations and cost between $75 and $199 per aid. Here are several ways you can contact us. We have representatives available Monday - Friday from 7:00am - 5:00pm Mountain Time to help answer any questions you may have or to place any phone orders. We have representatives available during our business hours (Monday - Friday 7:00am - 5:00pm Mountain Time) to help answer your questions you may have or to place phone orders. Fill out the form below with your questions or concerns and someone from our staff will be in touch promptly during our normal business hours (Monday - Friday 7:00am - 5:00pm Mountain Time).